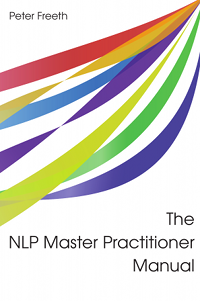 Becoming a Master Practitioner of NLP means letting go of the techniques you've already learned and getting to grips with the very foundation of NLP itself - modelling excellence. Modelling is the method behind every NLP technique, and by understanding how to extract and replicate the mental processes of excellence, you will transcend everything that you have learned at Practitioner level - and more. This NLP Master Practitioner manual is the result of more than 20 years research and application of NLP by one of its most innovative, practical and results oriented trainers and writers. Peter Freeth has pioneered NLP's applications in mainstream business which are now used by countless trainers, coaches and professionals, worldwide, and which are shared in this and his other books.